Never Pain to tell thy love ..
Love's Secret - I feard the fury of my wind - The Garden of Love - I saw a Chapel all of Gold- I ask’d a Thief. Driven out, & compell’d to be chaste. Chassés au loin et forcés d’être chastes. Sur le pain et le vin. Et m’étendis parmis les porcs. of money and riches in the house of God,and reminds the Church of Jesus's attitude toward the rich. outside of the refuge, not even “daring” to enter. Blake argues that this is wrong. Blake utilise ici l'exemple d'une chapelle à méditer sur la religion en général . Il remet en question l'existence de l'argent et de la richesse dans la maison de Dieu , et rappelle à l' Eglise de l'attitude de Jésus envers les riches . Après tout , Jésus régulièrement fustigé les riches , offrant saisines verbales régulières de leur convoitise des richesses matérielles et leur indifférence à leurs moins - aisés frères . pas même " audace " pour entrer . Blake soutient que cela est faux . 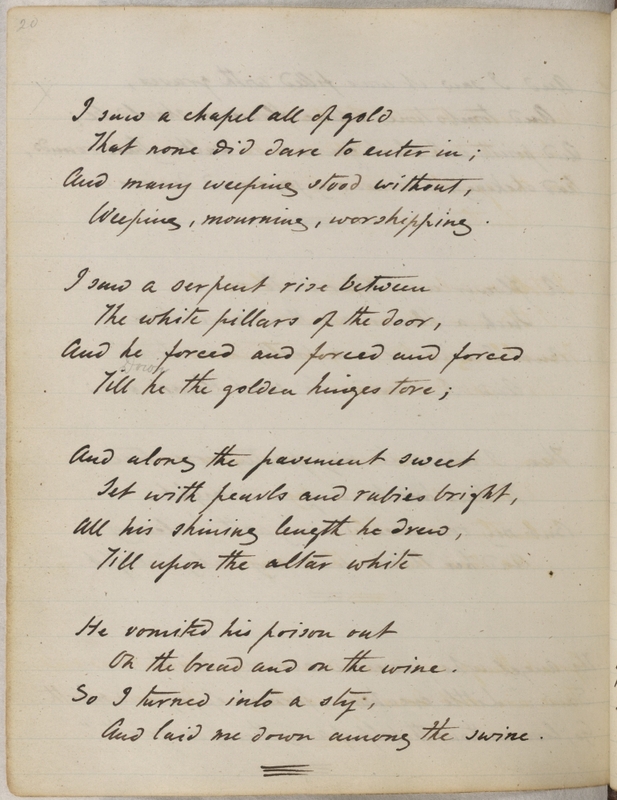 There is a dual meaning to this short and simple poem.One theme to be taken away from “I saw a chapel all of gold” is the obvious commenton the falsity of religion that Blake is making. In this reading, it is the serpent that is the one strong enough to “break” in. The symbol of the serpent is not lost on any reader. 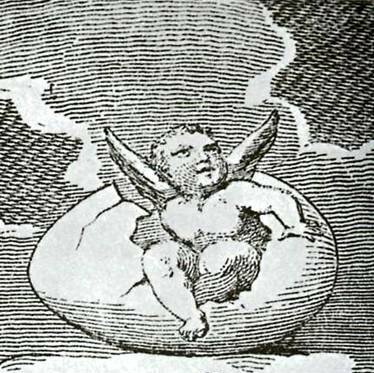 "Je vis une chapelle tout d'or » est le commentaire évident sur la fausseté de la religion que Blake est fait . Dans cette lecture , il est le serpent qui est le seul assez fort pour «casser» . en dépit de sa " longueur visqueuse » et « vomissements poison ». The second meaning becomes almost as obvious as the first, once you know it is there. is a representative for the temple of innocent love, the virgin body. is turned into a metaphor of violence and ugliness as the speaker revolts. une fois que vous savez qu'il est là. Le poème est bourré d'images sexuelles évidentes . The images given to the reader become more obvious once he/she is aware of this undercurrent theme. The speaker “stands” outside the chapel weeping and worshipping until he can take it no longer. A “serpent rises[s]” between two “white pillars” eventually “forcing” its way inside. After his “slimy length” is set among “the rubies” he “vomits out poison” onto the sacred bread and wine. a remorse and regret for the heinous intrusion just surpassed. à pleurer de chapelle et adoration jusqu'à ce qu'il puisse prendre plus . A «serpent hausse [ s ] » entre deux «piliers blancs " éventuellement " forcer "
son chemin à l'intérieur . Après sa " longueur visqueux " est réglé entre " les rubis " il " vomit le poison " sur le pain et le vin sacré . Dans les deux dernières lignes , le haut-parleur se transforme en une « porcherie » et « fixée entre les porcs " montrant un remords et des regrets pour l'intrusion odieux vient de dépasser . As soon as I went an angel came. And smil’d at the dame. Où les meules parures brunes. 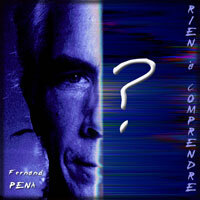 If there was nobody poor,"
S’il n’y avait personne de pauvre. This poem is closely related to the poem in Songs of Experience called "The Human Abstract,"
which is the counterpart in experience to "The Divine Image" in Songs of Innocence. 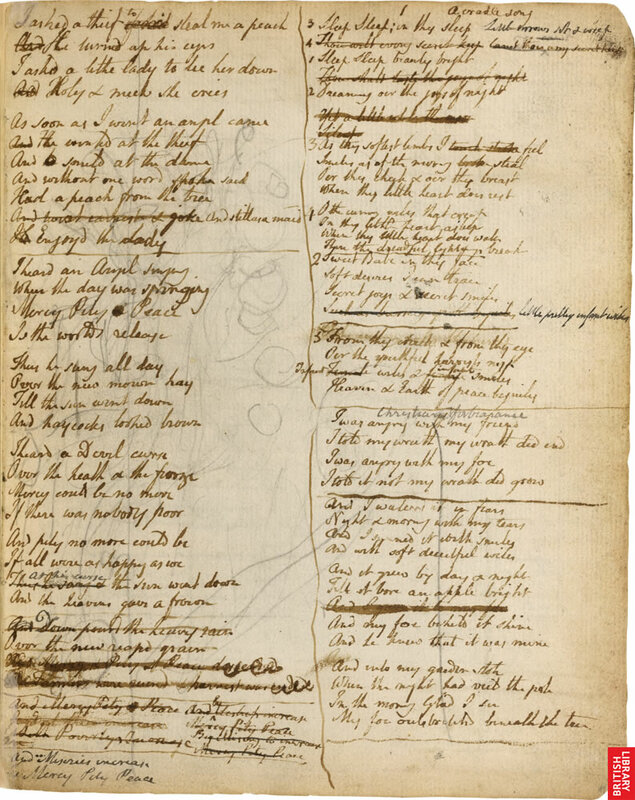 A draft of "The Human Abstract," with the title "The Human Image," is also in the Rossetti MS. 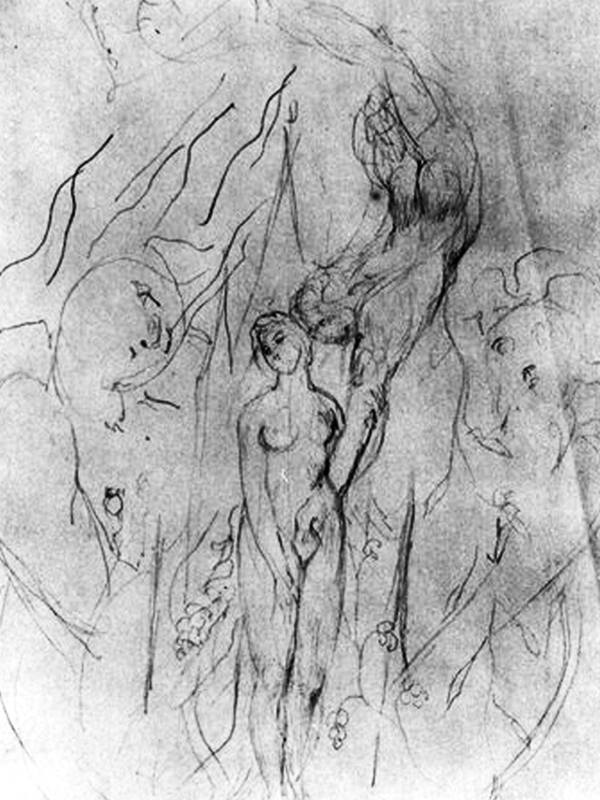 In Blake's thought "image" and "abstract" are the units of the creative and the anti-creative attitudes respectively. 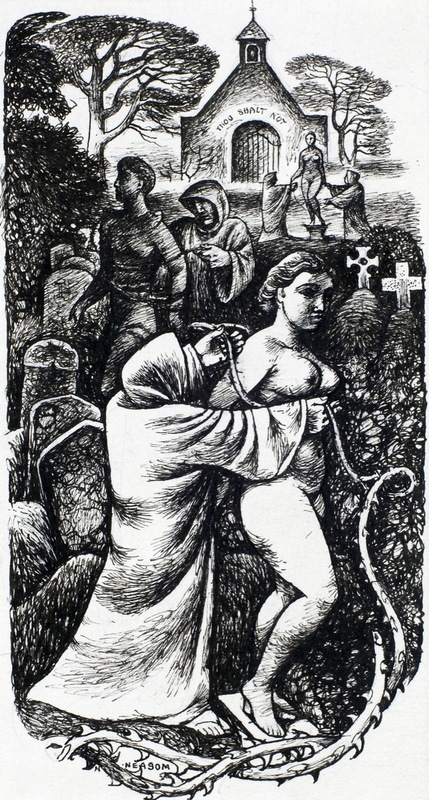 "qui est la contrepartie de l'expérience de « l'image divine " dans Songs of Innocence . 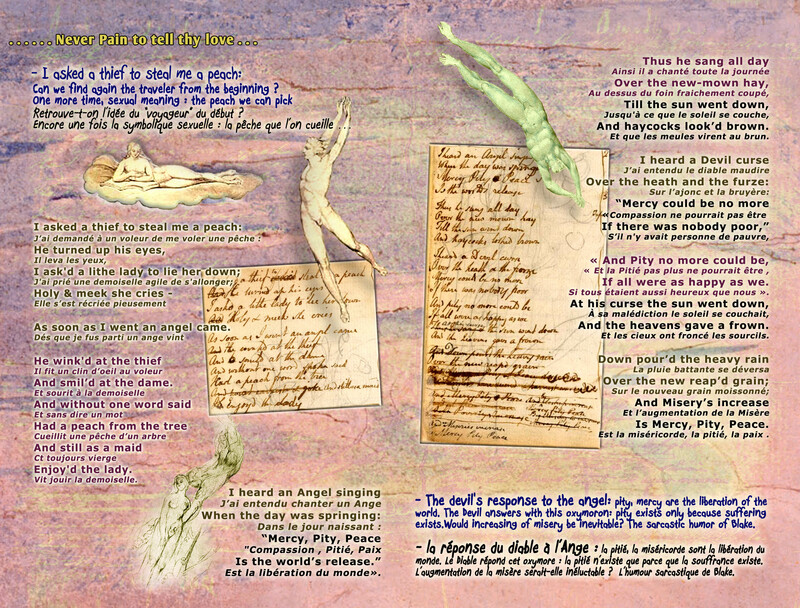 Un projet de "The Human Abstract , " avec le titre " l'image humaine , " est aussi dans le Rossetti MS .
Dans la pensée de Blake "image" et " abstrait" sont les unités de la création et les attitudes anti- créatives respectivement . was “oppressed” and full of poverty. 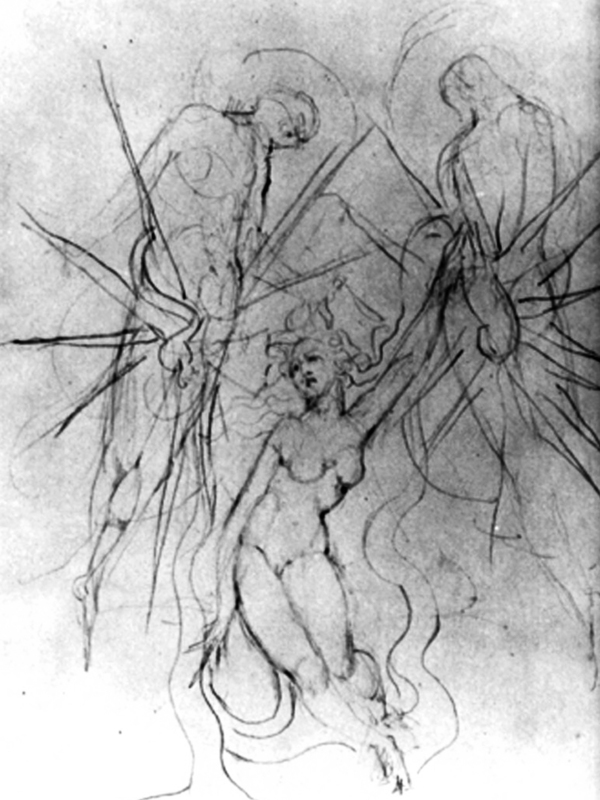 Blake was very much influenced by the bible and was said that he had visions. if everyone was happy and no one was poor then you would not need mercy, pity, peace. in the Garden of Eden. Then when rain is pouring down on the newly reaped grain, it is showing God is forgiving and willing to give a second chance for mercy pity and peace. Thus, God has overcome the Devil and that man has a new chance for a new beginning. Blake used the rain as the cleansing agent from God, which is Mercy or Forgiveness. 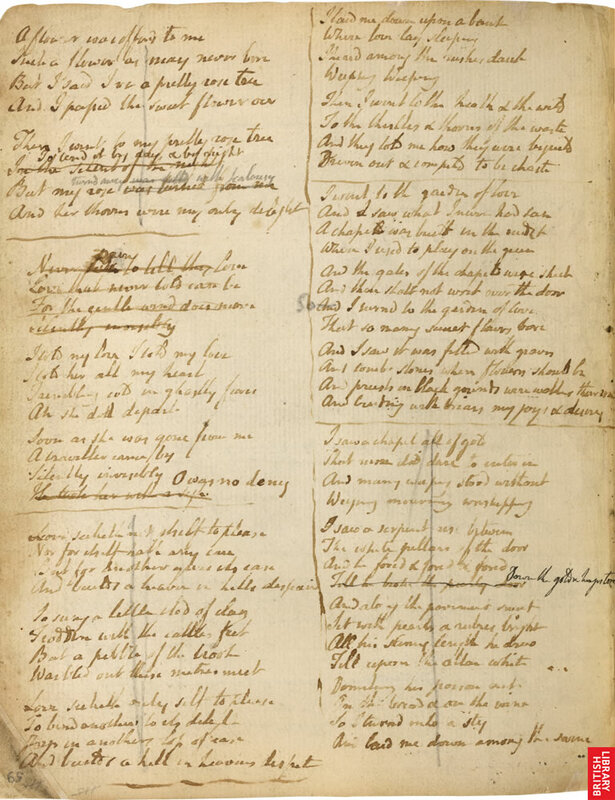 William Blake's poem "Love's Secret" can be interpreted for many readers as a simple explanation of why love should be expressed. That is in fact one of the purposes of the poem, but there are other ways to interpret this poem. Reading and analyzing the poem can take the reader to a completely different interpretation and to the real meaning and the theme of it. The theme of this poem is deeper than a simple explanation; it expresses the mysteries of love. In the following paragraphs of this essay each line will be explained in order to prove the theme. 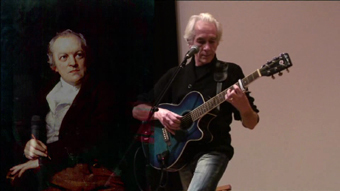 In the first stanza of this ballad, the author expresses the strong feelings he is having. He also expresses the pain that he is feeling keeping this emotion to himself. 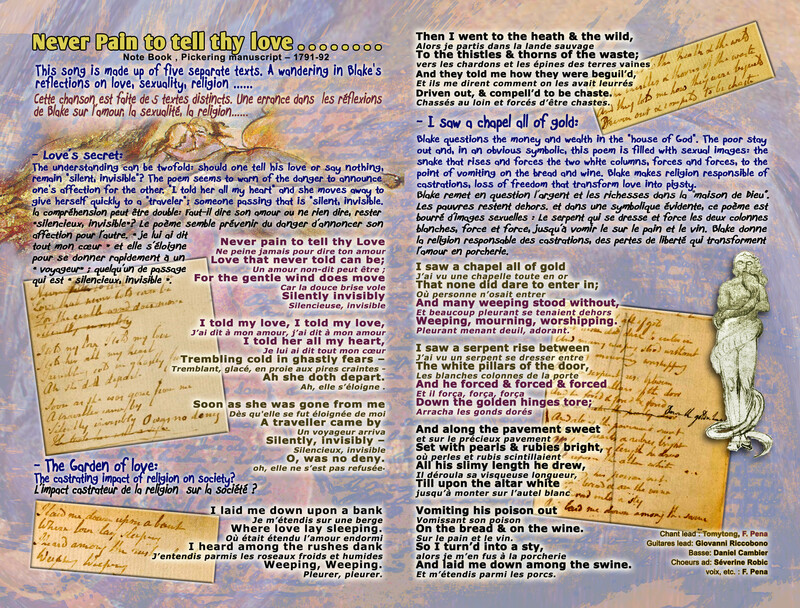 The first two lines of the stanza are, "Never pain to tell thy love / Love that never told can be". These two lines state that he is in love to the point that keeping this feeling in secret is causing him pain. He continues saying, "For the gentle wind does move / silently, invisibly" (3-4). In these two lines the poet is describing his love, comparing it with the wind. The wind is part of nature like love is part of a human being's life. 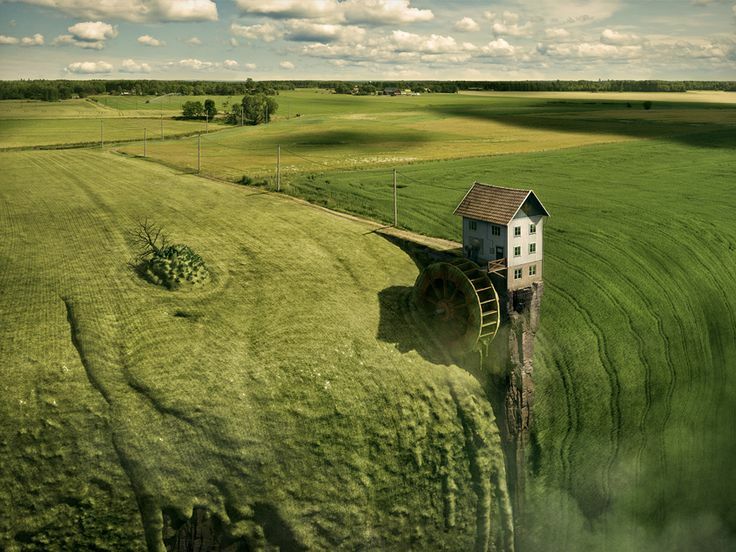 Sometimes the wind is strong and can be noticeable. In this case the wind is quiet, gentle and invisible. He is comparing his love with this gentle wind because at this point he has not expressed his love. His love is been kept in secret which makes it like the gentle, invisible and silent wind. The second stanza is very powerful because it describes the moment of a love confession. 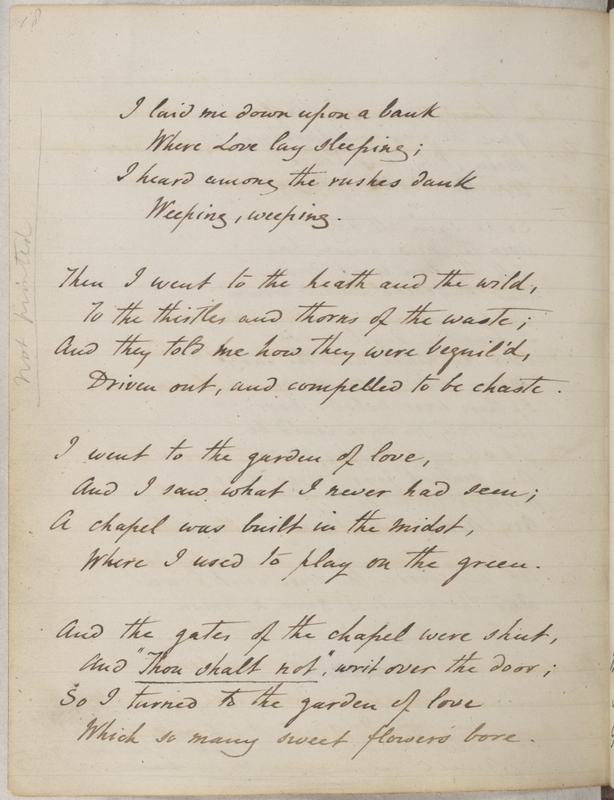 In the first two lines of this stanza the author describes the moment he confessed his love to his loved one. The lines are, "I told my love I told my love / I told her all my heart'. Ones again he is showing how strong his love is. He shows it by repeating the phrase twice "I told my love". It is evident that he has the urgency to express his love………. 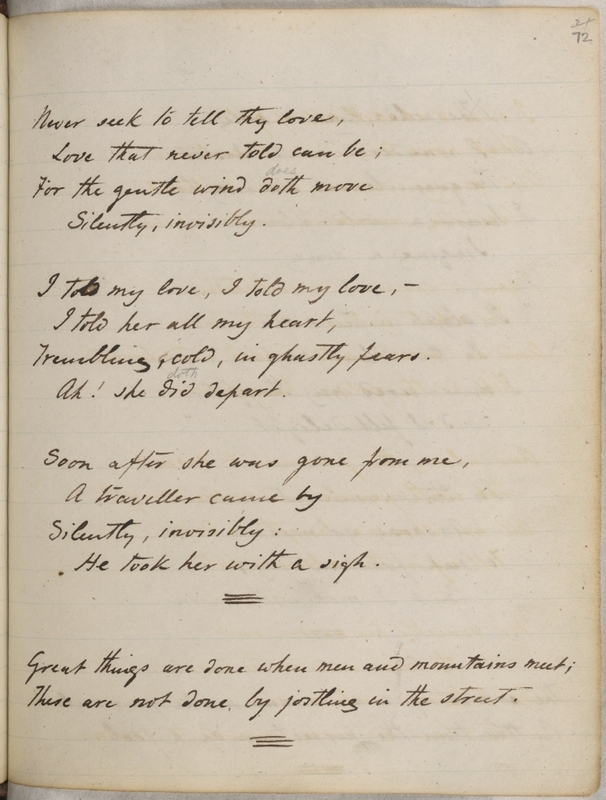 The basic story here is of a speaker who lets his lover know of his feelings and emotions toward her, which in turn results in the lover's repudiation of him: “Trembling cold in ghastly fears / As she doth depart!” Never to be one who spends too much time in self-pity mode, Blake (as speaker?) 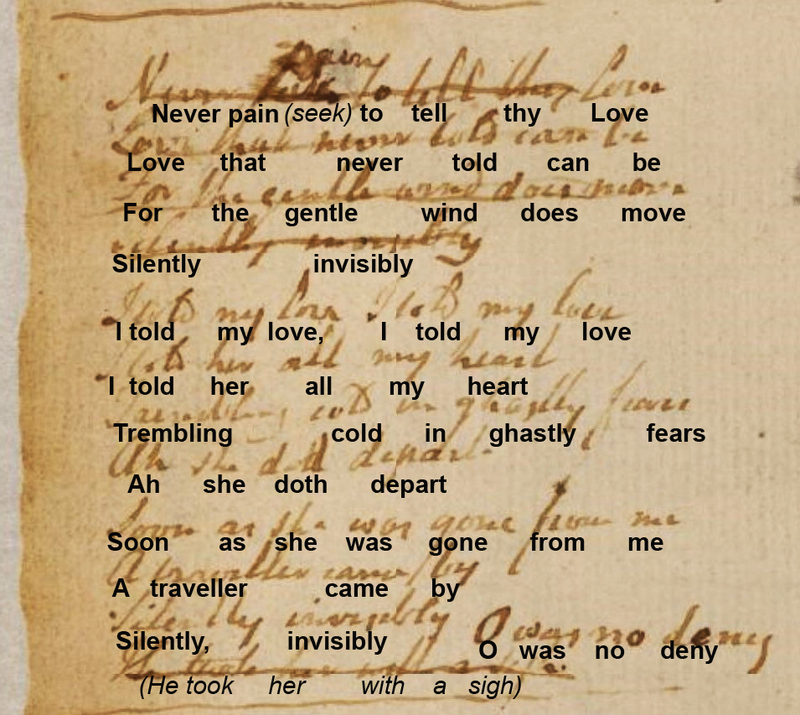 quickly reverses his bleak situation in the last stanza by rekindling his spirits and assuming the ‘traveler’ loves him as well, because of his/her ‘invisibility’ and silence toward him as she passes. The emotional effect this plays on the reader is playful, taking him/her from one of pity to one of humor, now laughing with the speaker with whom only a few lines earlier he/she was feeling sorry for. 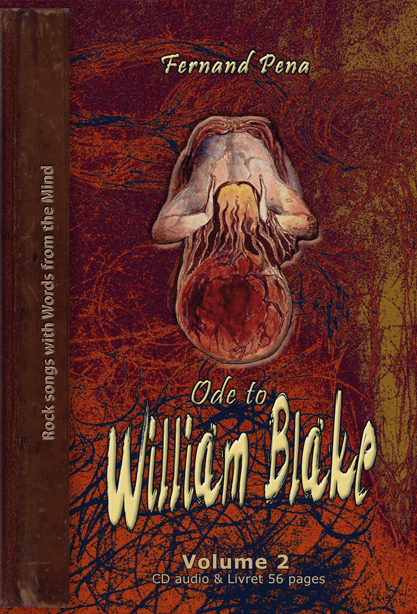 As with all things Blake, there is a deeper message here and that is that there is no denying silence. The speaker decided to wear his heard on his sleeve to his beloved, telling her “all [his] heart” and gets left alone and dejected. The opening line is advising, or instructing, “Never pain to tell thy love,” which is much different from the last line which is tongue-in-cheek and a bit of ridicule. This poem has also been interpreted as the traveler coming in the final stanza as another lover, who the speaker’s beloved turns to for refuge, and who accepts her with no “deny.” Either interpretation is valid and acceptable.